Risk-taking entrepreneur conquers the pizza market in Trinidad. For anyone who lives, or has grown up, in the United States, going out for some pizza, or having some delivered, is hardly an unusual event. And why should it be? There are over 70,000 pizzerias in the U.S., and the total number of the pizza pies sold each year is about three billion! And 93 percent of Americans eat at least one slice of pizza per month. But until the early 1970s, pizza was virtually unknown in the Caribbean. That is, until Richard Harford founded Mario’s Pizzeria and began selling the round, saucy and cheesy delicacy to the folks in his native Trinidad. 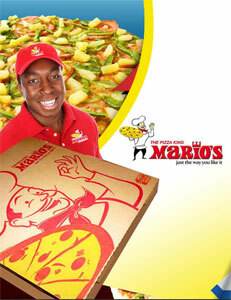 Today, Mario’s Pizza is the leading pizza restaurant chain in Trinidad and Tobago, with 20 stores, plus an additional five outlets in Guyana. Mario’s Pizza is managed by Richard’s three sons, Roger, Randal, and Ryan Harford, all Directors of the family-owned enterprise. The chain controls 55 percent of the local market, out-pacing its competitors, international chains such as Pizza Hut, Domino’s, and Papa Johns, as well as Pizza Boys, a local company that opened in 1989. Mario’s opened its 20th store in Trinidad, this past June, and Harford believes that there is room for more. The company would like to open another 10 to 15 outlets on Trinidad, and maybe one or two stores on the smaller island of Tobago. It also plans to franchise regionally throughout the Caribbean. At one time, there were franchise stores in Grenada and St. Vincent, but they closed when the Great Recession depressed tourism on those two islands. Harford would like to re-open them, as well as expand to Jamaica and Barbados. The grand plan is to become a major brand, some day, in both North and South America. In addition to seeking new locations both on and off Trinidad, Harford also says that the company is planning a major revamping of its menu, and enhancing its locations to keep them up-to-date. A few years ago, the company launched its social media platform in order to explore newer means of connecting with its younger market. 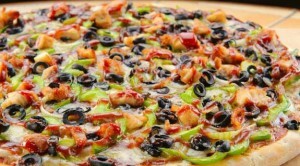 But it’s unlikely that Mario’s Pizzeria will be fiddling with its unique pizza recipe anytime soon, since its choice of cheese, spices, and variety of toppings have made Mario’s the leading pizza restaurant in the country. And someday, perhaps, going out for pizza in the Caribbean may be as normal as it has been in the U.S., for so many years.